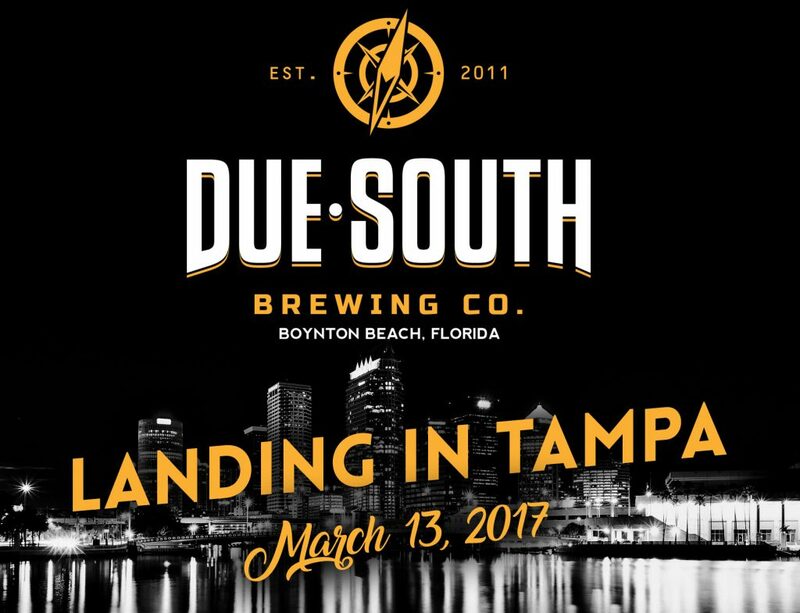 Due South Brewing Company Landing In The Tampa Market – Due South Brewing Co.
Due South Brewing Company plans to begin selling its award-winning beers throughout the greater Tampa Bay area starting March 13, 2017. The Boynton Beach brewery has signed with Brown Distributing Company to bring their beers into new territory on the western coast of Florida, from Citrus County in the north through to Collier County in the south. This will add 15 more counties to the distribution portfolio of the brewery. Fans of Due South should expect to see beers landing in the largest parts of the market, in the areas around Tampa, St. Petersburg, and Naples, the week of March 13. Beer will begin to roll out to the full territory shortly thereafter. The brewery will begin hosting launch events the following week, with more details on these events to be found on Facebook, Instagram, and on http://www.duesouthbrewing.com. Due South Brewing Co. is a distributing brewery in Boynton Beach, FL. Their beers are currently available on draft and in cans in hundreds of bars, restaurants, and stores in Florida, from Key West to Jacksonville, including Orlando and Tallahassee. The Due South Brewing Co. tasting room & brewery is open to the public every day at noon except Monday when they are closed. Due South Brewing Company is located at 2900 High Ridge Rd #3, Boynton Beach, FL 33426. 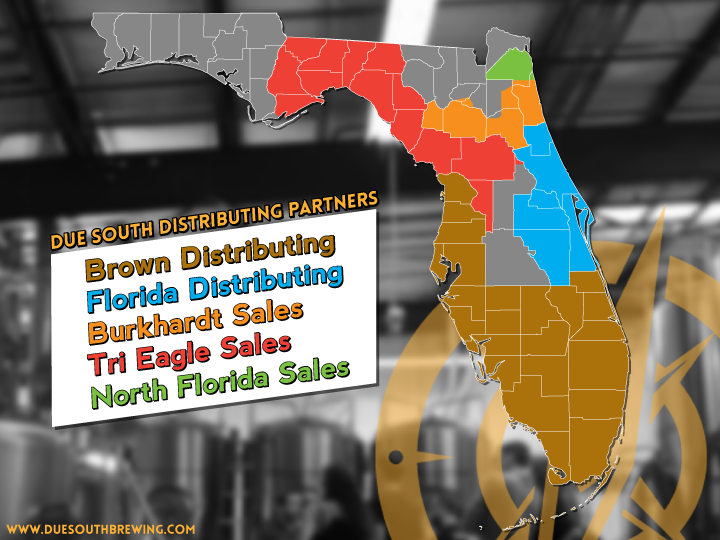 For more information, please visit http://www.duesouthbrewing.com or call (561) 463-2337.